Are you ready for the holiday season? 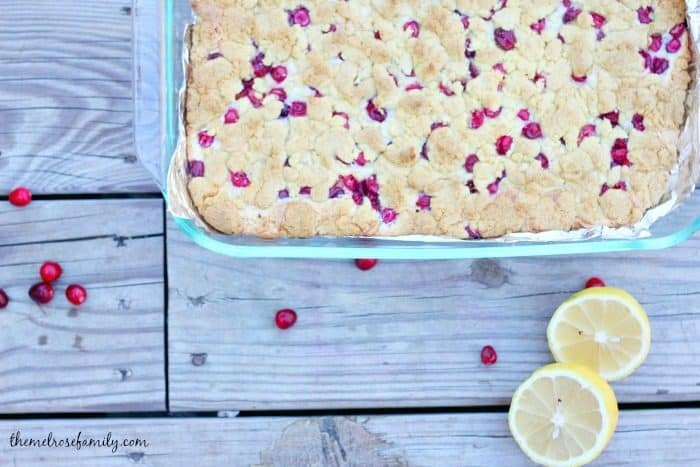 Two of my favorite flavors for the holidays are lemon and cranberry. There’s just something about the two of them together. Plus, when you add in a gooey layer between the two it just becomes perfection. 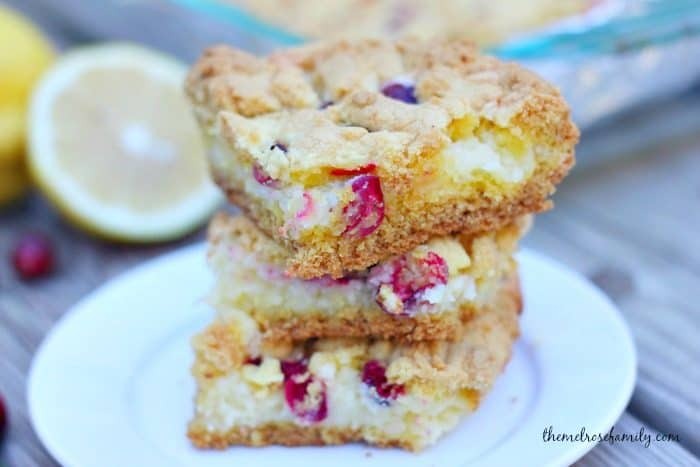 These Cranberry Lemon Gooey Bars are definitely the must-make dessert for the holidays. I first realized my love for gooey bars last spring when I made my Strawberry Pink Velvet Gooey Bars. Gooey bars are by far my favorite type of bar. The soft flaky crust with the gooey cream cheese layer in the middle combined with your favorite fruit is a match made in heaven. I was inspired by my Orange Cornbread Cake because I realized with that recipe how amazing cranberries are with a citrus cake. 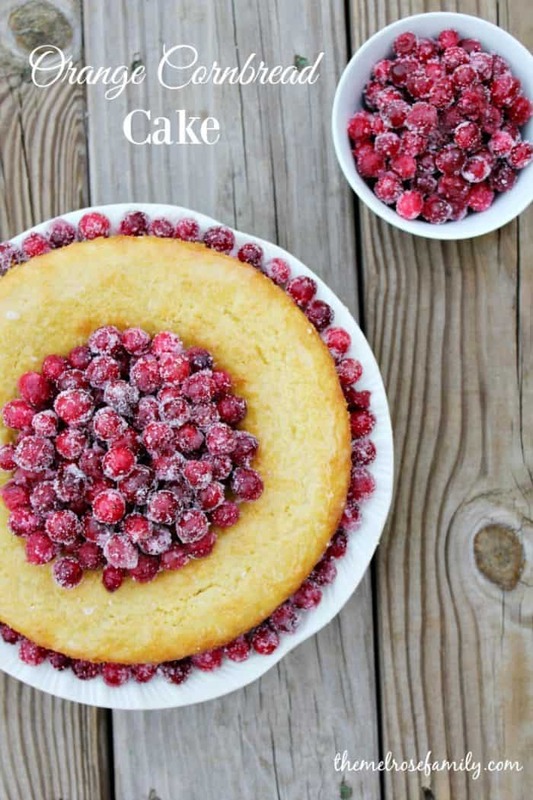 Plus, the sugared cranberries in that recipe are always such a huge hit because they’re so pretty. Something I learned the hard way the first time I made my gooey bars is that you absolutely have to wait until the bars have cooled before breaking into them. Otherwise, you’ll end up with a mess in your hands and they will not look anything like bars. They’ll just be bundles of cake bites. They’ll taste the same, but if you’re looking for bars make sure to let them cool before slicing them. No matter what the reason or event is for making these gooey bars, you’ll be sure to impress your guests with the flavor. They are a great alternative or addition to your holiday pie spread. My husband isn’t a pie person so we always seem to have alternatives like our Raspberry Cheesecake Cupcakes or our Caramel Apple Bread Pudding. We certainly love options! Are you looking for an easy dessert that's perfect for the holidays? 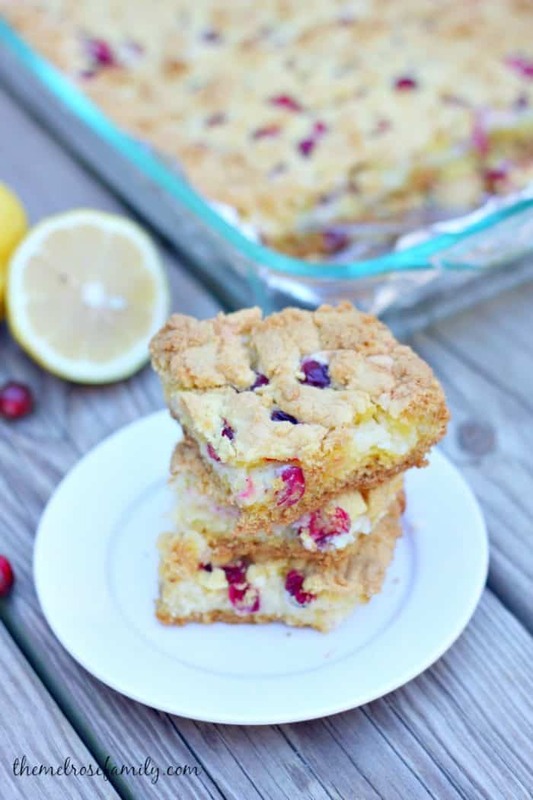 These Cranberry Lemon Gooey Bars combine my favorite holiday flavors. Preheat the oven at 350 F and line a 9 x 11 baking dish with tin foil. Spray the tin foil with cooking spray. Makes 15 - 18 bars. 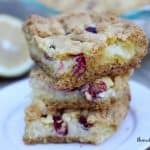 I love lemon cake, and I LOVE cranberries. These look perfect to have with a cup of tea!